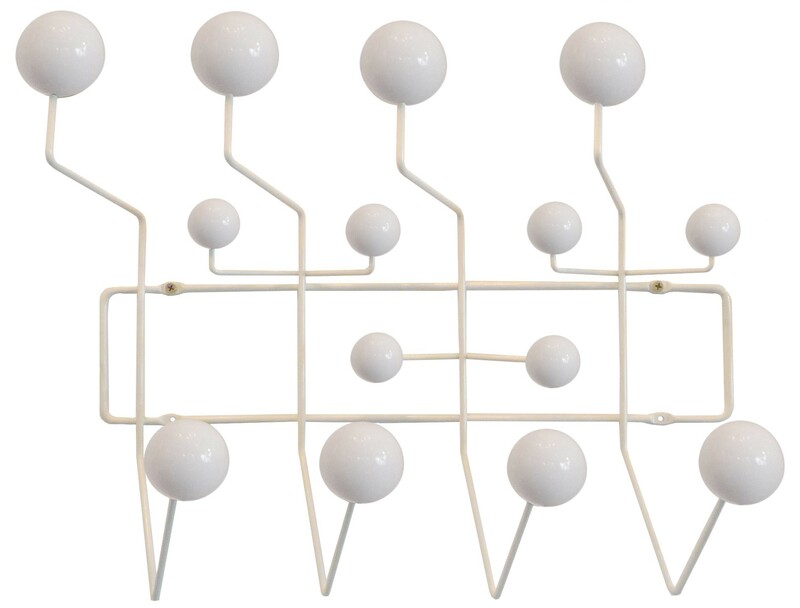 Charles Eames peg. Hang it all white. Design peg. Reproduction of the design of Charles Eames Hang it all white Steel frame with solid white maple balls, Funky Living Room, peg. The genuine design from 1951 has become famous under the name Hang it all.